Website, online, internet and the modern developments that connects the people worldwide have reached to the unimaginable level. Everything in the world becomes digital. Digitalization has taken the dominance as people become accustomed to consume the benefits of the digital world. With all this fact, every business should have a website, especially the budding Startup companies. Having a website for your startup would bring a lot of benefits; let’s check why startup business need a website. 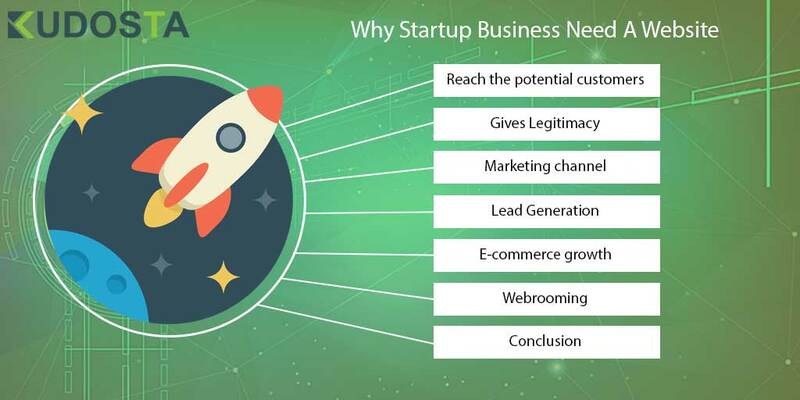 Reach the potential customers : Startup companies need a website to reach the online audience. Presence of online audience is increasing that it almost equals the presence of physical audience. Your potential customers are around the corner in online. You may have to miss them if you do not have a website.People use internet to get every required information. The use of smartphones and gadgets gets the audience to spend more time online. A website, which is your online address would get visits from potential customers. Marketing channel : A website is one of the important marketing channels for any startup company, especially in this online era. You can have social media links, blogs and other online networks linked with your website and can generate more traffic/leads. From the website, you can showcase all your technicalities and technologies or your products and services in various social media, with advertising and through Search Engine Optimization. Lead Generation : On different cases, visitors of your website would fill the form or give any of their information with their email id. This helps you to send newsletters, emails, ads, reports, offers, or any other related stuffs to reach and convince them in a better way. This, in turn, could convert your audience into potential customers. Therefore, having a website for your startup company is beneficial to generate leads. E-commerce growth: A large number of people want to shop online these days more than doing physical shopping. The various advantages of online shopping have given a massive growth for e-commerce. In such a scenario, a website is must for any product based startup to increase the sales exponentially with right marketing and sales strategy. Webrooming: A lot of people, these days, have developed a habit of reviewing and researching the products and items they are looking for before they buy it from a store. They not only get to know information but also read the reviews to take a decision about buying the product. The act of online research before buying from a store is called as webrooming. Due to increasing webrooming, there should be any reason for not having a website for your startup company. There is no doubt or a second thought to have a website for a startup company. Moreover, hire an experienced web design and development company to build a pleasing and information website for your startup to leverage the benefits discussed above. It all starts with seeing. The attraction, the capture and the satisfaction happen through our eyes. 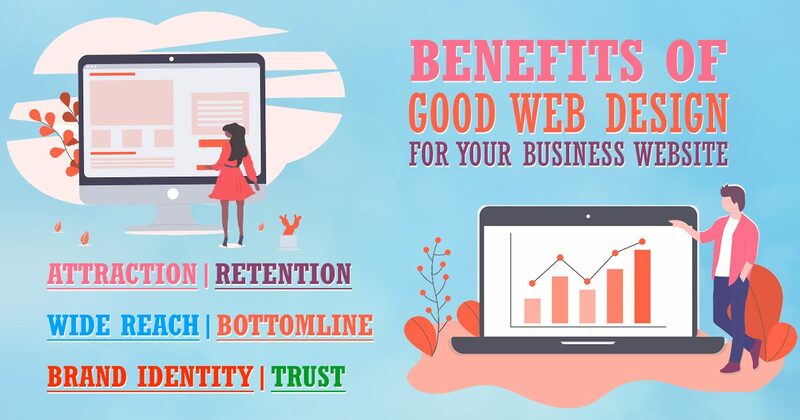 Yes, a good web design is most important to create an impression, attraction and to keep the audience and customers intact with your business website. For every business in this digital era, a website is mandatory. Spending time and cost on a good web design is must and profitable. Here we see some of the benefits of good web design for your business website. It is quite natural that we get satisfied only if we get attracted to it. Be it anything, we get captivated and satisfied only if it attracts us. The same goes with your business website also. If your website attracts the people they will like to spend time in your website and obviously will get interested in your products or services. A good web design attracts the audience and customers to your business. Customer retention is one of the important factors for business growth. A good business with a better growth plan would always strategize in customer retention. If bringing the audience to the website is important then retaining them is most important. A good web design makes the customers to spend more time and to be active in your business website. This is a fortunate sign to convert your audience into potential customers. Wide market reach is one of the other benefits of a good web design. If your website looks elegant you will get better reach. People from different parts of the world would visit your website and get sufficient information regarding your business, products,and services. The level of elegance of your business website is the level of its reach. Spending on a good web design for your business website welcomes audiences from various places. A good web design wins trust from customers. With a good web design, you ensure a pleasing website with clear information, nice layout, easy to use navigation, clarity in text, image,and video contents. Obviously, customers would get confidence in your product or service as they find your website pleasing and professional. A good web design creates your brand impression in your customers. The pleasing design leaves the mark in their mind and makes them to come again. Your brand identity sticks with the people and they will introduce your brand to others to different extent. Yes, a good web design is one sort of growing your brand identity. Remember, a good web design boosts your brand identity, grows your business and widens your customer base. 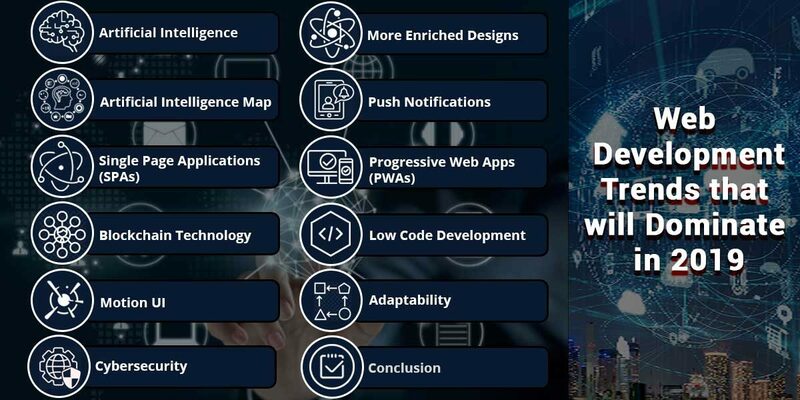 When it comes to good web design, hire a professional web design company or team whose skill touch transforms your website magically and brings more customers. With a good web design with the benefits discussed above, you will be able to stay ahead regardless of tough competition. Choose a skillful, experienced web design company for a good web design for your business website. Your website is the business card or online address of your business. In this digital marketing era, website is one of the most important factors in taking your business to large number of people. Therefore, website security becomes an important and not to be missed. Let’s check 6 Practical Tips to Secure Your Website Data. Web hosting plays crucial role in website security. Web hosting company should be able to support the website in all the cases. Most importantly, it should be able to identify or aware about the threats knocking your website to gain access. With all alertness, the hosting company should be able to back up the data and secure it in a remote server to retrieve in case of any loss of data due to attacks or threats or hacks. Therefore, always opt for a hosting company that offers all-time technical support. Most of the hackers give their shot on the security loopholes of the website. The best way to fix the security flaws is to update the installed scripts. Make sure that every script, software and other related products that you use are updated. Obviously, the brute force attack is the most tried by the hackers to break into the website by cracking the password. It is advised to maintain strong password leaving no room for the hackers to be successful in their attempts. Avoid simple passwords and always use combination of upper case, lower case letters with numeric and special characters. Being hygienic prevents attacks from disease-causing germs and bacteria. Same is for website, your website will be safe as far as you keep it hygienic. Do clean it periodically to avoid hackers. You will invite hackers unknowingly if you do not keep your website clean. Delete the files and applications that are not used in your site anymore. Make sure that the file structure is organized so that you can track and delete the unnecessary files. Web security scan is one of the important steps taken towards website security. Make sure you perform a scheduled website scan to identify the defencelessness. As you find such risk factors, you can immediately bring on the fix that removes the defenseless points open for attacks. Rather than trusting the free web scan tools, it is better to move on for a professional scan that reveals in detail. Make a note of it that free web scans do not reveal anything in deep. It may be free but can cost you a lot. One of the best investments you can make to secure your website is to hire a security services or expert. The support of the security expert would be high. You can’t handle it on your own. Of course, you can manage the low-level security issues but when it comes to dealing with high-level security issues and measures it requires the support of a security expert/service. Needless to say, security experts do scan your website regularly, do a thorough monitoring in a scheduled manner and take necessary actions on time. Creating an e-commerce website has become easier through Content Management System (CMS). For any non-developer, it will be easier to make changes in their e-commerce website using CMS. The content of the e-commerce site can be managed without complications. With this, the website administration tasks have become simple. Payment integration and SEO management can be done without having programming knowledge. Different open source CMS are available with multiple features, merits,and demerits. Before opting for any e-commerce CMS, it is better to compare and understand important aspects so that it will be possible to choose the best that suits your e-commerce store. When it comes to comparing the open source CMS platforms, it is important to consider on the basis of functionality of the website and the customization features of the CMS. Here we discuss and compare the leading CMS platforms WordPress and Magento. What do you expect for your e-commerce store? This is so important so that you will be able to choose the best CMS for your e-commerce store. As you are planning to create an e-commerce store you have to define the following first. Magento is a standalone e-commerce CMS platform and is used by giant brands. With nice functionality and various flexibilities, Magento is one of the best CMS. Coming to WordPress, it is a widely chosen CMS with more flexibility and numerous plugins to make it easier to customize, manage and use. WordPress offers numerous themes. Do you need more functionality for your e-commerce store or do you need various plugins to be added in your store? You have to answer these questions before choosing ane-commerce platform. If your shop is big with high volumes then your stock keeping unit would be high in volume therefor you would have to Magento on that case as it handles the complex sites easily but it requires heavy server power. At the same time, a plugin offered by WordPress supports unlimited product uploads. Though Magento and WordPress are free opensource platforms, you have to pay for subscriptions, add-ons, plugins,and other added features. A dedicated hosting would be required as the information of the frequent or repeated customers will be stored in database. Developing an e-commerce site with Magento will take longer according to your website than with WordPress. Are your products simple or complex? How do you plan about personalization, categories? Both Magento and WordPress allows facilities to add more users without any complications. In the development case, Magento is easier for developers whereas WordPress is flexible and easier to play with UI/UX. WordPress is more user-friendly. WordPress has begun as a blogging platform and has become a comprehensive customizable website framework. It has wide range of plugins with incredible functionalities. When it comes to customization and complex development you would have to get the help of WordPress developers. Payment Integration, theme installation, plugin installation and usage are easy to do. Within a short time, a basic website can be easily created using WordPress. The same is possible for e-commerce store using the WooCommerce plugin offered by WordPress. By installing WooCommerce theme, necessary plugins and extensions you can get an absolute e-commerce website. It supports Shopify, Stripe, PayPal, Square, Amazon payments, ShipStation, UPS, etc. • Easy to customize, does not need skilled developers for basic level configurations and management. It is a powerful e-commerce platform with high scalability. It offers wide range of features with extensions that supports any size e-commerce store. Premium edition can be useful for big brands as many giant brands are already using Magento to handle their e-commerce store. It is quite complex when it comes to customization so you will have to get the help of skilled Magento Developer for sure. We can say Magento is one of the intricate platforms. • Best to provide smooth browsing experience to the customers. • Useful for marketing as it offers marketing add-ons. WordPress is built on PHP framework whereas Magento on PHP but specifically on Zend. API’s are nice in both the platforms. Easiness of customizations and plugins differ. WordPress offer amazing theme customization and Magento is nice virtually and can design your own themes. Magento offers wide range of add-ons for everything you need for your e-commerce site but in terms of complexity, Magento is one of the complex platforms. 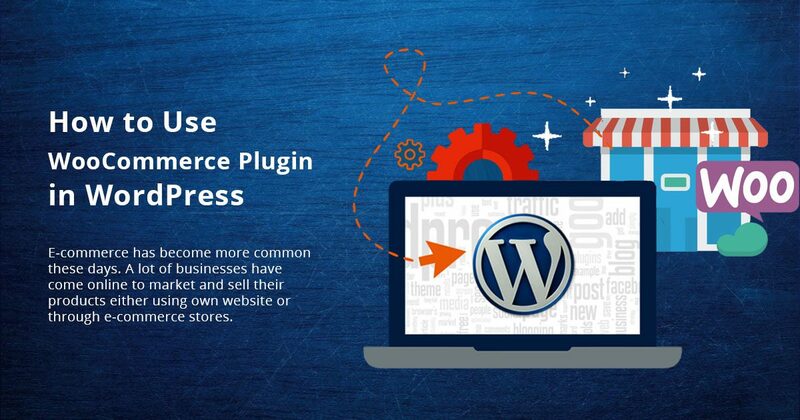 WooCommerce and other plugins offered by WordPress are easy to install, customize and manage. The level of complexity is low in WordPress. Finally, you have to choose the platform according to your skill level, functionality,and complexity of your e-commerce store. 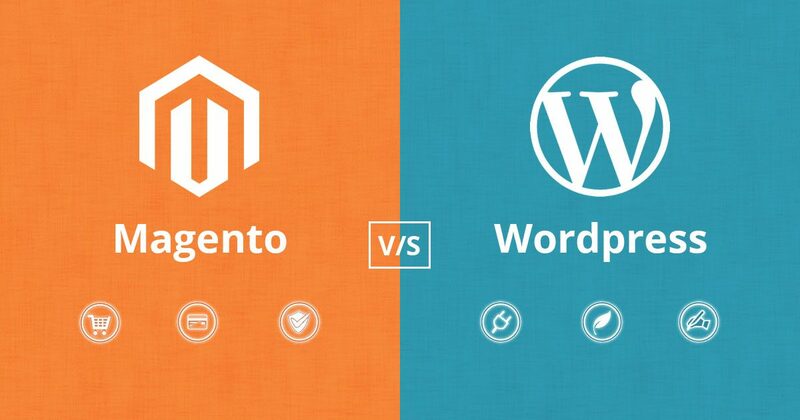 online busieness web development WordPressLeave a comment on Magento Vs WordPress – Which CMS Is Better For Your Online Store? Every importance should carry a reason otherwise the importance will not be understood. Wide range of information is available to convey the importance of having a website and use digital marketing for the business but still, it needs the reasons for clear understanding. 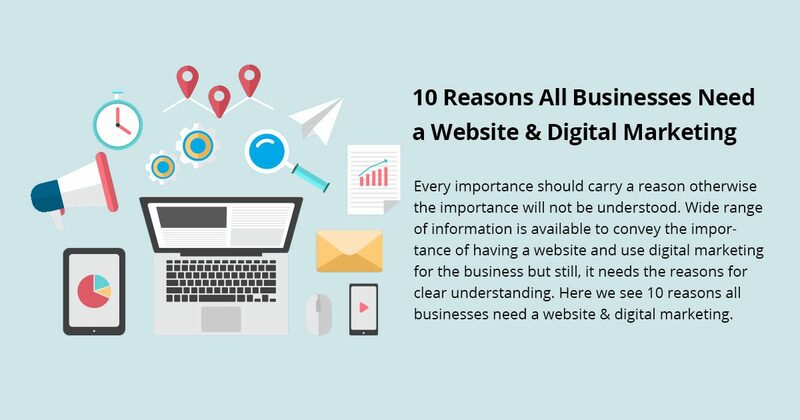 Here we see 10 reasons all businesses need a website & digital marketing. Large number of people have started spending more time online. Website is the place where you will connect with the customers to make them aware of your business and its services/products. Digital marketing is the best way to bring the audience to the website. Digital presence has become more popular that people would like to get answers, check products and buy different goods. Website is a place where you would put & update every important information of your business and with successful digital marketing, you will be able to optimize the information to attract and convert the audience into customers. Website is the right place where you can have valuable testimonials about your business, products,and services. Testimonials increase your credibility. 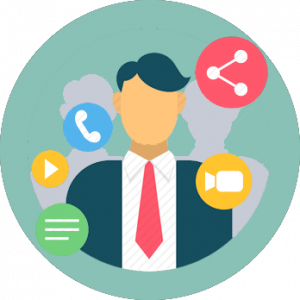 With right digital marketing strategy, you will be able to take the testimonies to social media pages and in other digital presence of your business. Lead generation is one of the most important aspects of having a website and practicing digital marketing. Leads are the audiences at reachable. When it comes to digital marketing, different types of lead generation techniques are there but website is the beginning or the base for lead generation. In this digital age, it is not feasible to build exposure for the business without having a website. Exposure will be developed when the business is taken to online presence and making it more popular using digital marketing. Traditional ads and marketing techniques are vanishing. Digital marketing has become more popular especially because of reaching the people across various platforms. Digital marketing enables refined process to acquire more leads. Obviously more leads results in higher sales. Every business has target audiences. As the digital world is vast and fast, you are not going to cast the net generally but on the target. You need a website and suitable digital marketing strategy to reach the target audience. Do not have to worry about the budget, setting up a professional website and deploying digital marketing is not costly. Spending on a website and in digital marketing is a diligent investment that you make for your business. You will reap huge benefits for low-cost investment. If you own a website for your business then your brand or product is globally available. Obviously, global audience can walk into your business website. Your reach grows global. At the same time, digital marketing is not limited to local. Think about it as digital marketing takes your business to audience across different countries and brings global audience. Having a website for your business is the easier way to provide best customer support/service. Customers can easily reach you by visiting your business website and get their queries answered, clarified and get served on request. After all, customer satisfaction is more important and website opens the avenues to achieve it. Website is most important for the businesses these days. Every business that do have website must understand the real purpose of having a website. Website is not only to give information about the product or service to the people but also to attract more visitors. Yes, the purpose of a business website is not just to communicate with the people but to attract them so that they can be converted into potential customers. The website that does not have good conversion rate is just vain. Such websites are purposeless. When the business defines the purpose of website it will start to find the ways to increased conversion. Talking about increased conversion, the custom web design is more advantageous than the web design using templates. Obviously, a lot of content management system companies have come and offering numerous templates to design a website with customizable options. As far as customization options and investment is concerned many people choose template based web design. But custom website design is a best investment you can do as it benefits your business. Let’s see why it is so. Custom web design gives amazing unique look to your website. It makes your brand looking unique and you do not have to fit your business logo or website design into the existing template. You can create a web design that no other brand or business has. The outcome is pretty good that it attracts the people a lot thereby increases conversion. The uniqueness of your web design sells your brand. In order to increase the visibility of your business or brand, you need to concentrate on SEO. Search Engine Optimization is a process that takes your business website and displays in the top results of search engine results. It drives traffic to your website in the organic way. Custom web design is the best way to boost SEO as effective HTML coding can be written to make your site more SEO friendly. Search engine standard HTML code will enhance your website’s exposure. Of course, this will increase conversion undoubtedly. Again, the main intention of having a business or brand website is to attract the customers. In such a perspective, custom web design is best to build customer-centric website. Be it the UI and the functionality of the website to engage the customers, custom web design is highly effective. You can build as you like it to increase conversion rate rather than building your site as per the template. The best part of custom web design is that you will get a team that work for you anytime to keep your website updated. With a custom website design, you can modify and update your website anytime without taking much time. The website design team will take your concerns and work it out immediately as it is not hectic to make changes in the custom design. As you keep updated, the chances are high to attract new customers and also to retain the existing customers. When the people find something new in the website they will spend more time in the website with an interest. To sum up, a customer-centric custom website design builds a professional website that earns credibility. Template based web design may be easy and cheap but the custom web design is smarter. 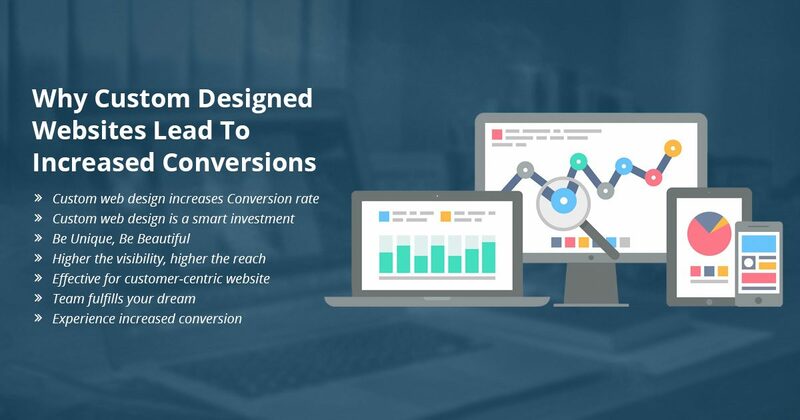 Make a smart investment to experience increased conversion. Outcome matters!!! Millions of people search different things in online. This sheds some light on the number of online users. Millions of internet users find it easier to check products and services online. Whether it is a purchase or just getting the details of a product or service people these days choose online platforms as convenient. It becomes easier for the people/consumers/audiences to find your business and its products/services online. Once you take your business to online through a great website you do not have to worry about the exposure. People from your demographics and all over the world can visit your website. Your website is a great place where you can give sufficient information to the audience. It will be feasible to take your business/product/service, offers, updates and every important information to the people through the website. Your website will work wonders than brochures, flyers or any other type of advertisement. Your website becomes a great tool for you to market your business. Facilitating social media networks with your websites will enhance the marketing. Easy and effective marketing is possible if you have a great website. A website for your small website is an identity for your business in online space. It completely showcases your business improving the visibility. The identity of your small business is revealed to the people through the website. As far as advertising is considered, the website is cost-effective. Instead of spending on physical advertising, you can focus on digital advertising for which your website becomes a great source. It is easy for the audience to access your business anytime through your website. It does not require you or your executives to be available 24×7 and it is not feasible too. That is why a website with salient information is important for the small businesses. A website is most important for small businesses to answer the people effectively. Actually, it saves a lot of time through satisfied support provided to the customers. Advanced and easy to use tools integrated into a website is sufficient to provide satisfied support to the audience and customers. Having a website for your small business produces effective results in sales conversion. Numbers of visitors to the website will be tracked and used to reach them to generate leads and convert them into potential customers. Surveys say that a large number of online users believe the business with a website is credible than the website the social media pages only. Therefore, having a website for your business improves the credibility the most important factor for the success of a business. 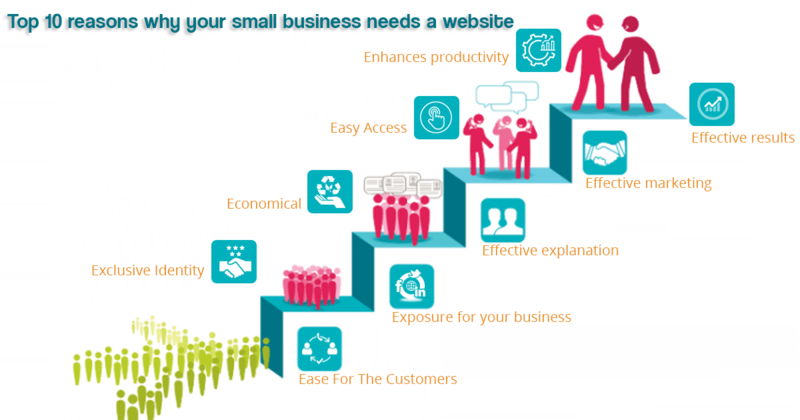 Why Start-up Business Need a Website & Promotion? Owning a website has become more common in this digital era. Even the non-business individuals do have a website to showcase something. It may not be important for an individual with no connection to any business but when it comes to a business or product or an entrepreneur, the website is essential in different perspectives. When you get to think about having a website, different questions may arise in you. 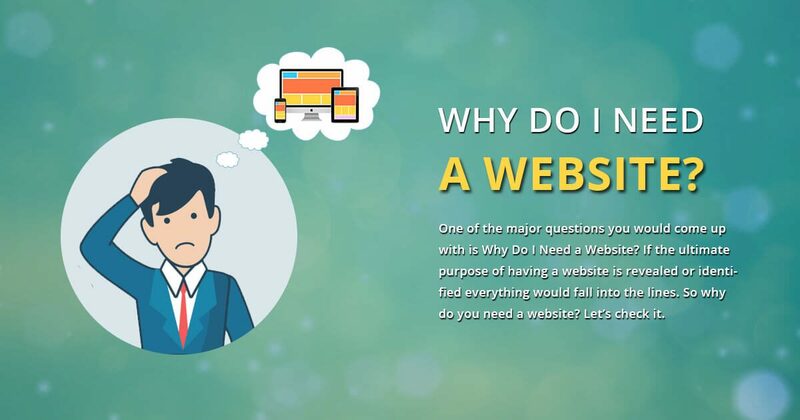 One of the major questions you would come up with is Why Do I Need a Website? If the ultimate purpose of having a website is revealed or identified everything would fall into the lines. So why do you need a website? Let’s check it. First of all, a website is a better communicating medium through which you introduce your products or services to the audience. The fact is that the digital communication has become a major communication between consumers and businesses in these modern days. A large number of people spend a considerable amount of time online these days. Getting your business or products or services to the huge audience will be easy through online with a website. The website shows who you are or what your business is and invites the people into your business and reveals your products and services. People from anywhere can get to know about your business/product/service. At any time, they will be able to visit your website. This increases the advertisement to your business or brand. 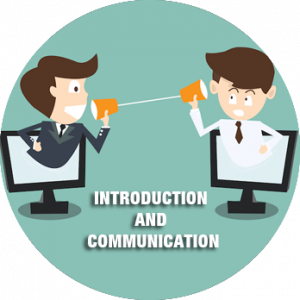 As people come to know about your business they will start communicating or interacting with you if they are interested, thus you can catch the target audience. As your site gets visible in search engine through SEO process, visitors will increase to your site eventually a way to get potential customers gradually. business website online business Small Business Webiste Start-up BusinessLeave a comment on Why Do I Need a Website? E-commerce has become more common these days. A lot of businesses have come online to market and sell their products either using own website or through e-commerce stores. Due to increasing online population setting up a new e-commerce store would be quite profitable. WordPress is one of the best open source platforms to create a website or blog. Rather than setting up a fresh e-commerce website, it would be easier with high functionalities to convert a WordPress website into e-commerce. Those who do not know about this, may think that it would be difficult to set up a WordPress site into e-commerce but the good news is an amazing plugin – WooCommerce would do the magic for you. Using the WooCommerce plugin you can easily turn a WordPress site into an amazing e-commerce site. Get started, its really easy. WooCommerce is one of the famous plugins on the market.Speaking about WooCommerce, it is easy to use open source plugin used to create and maintain an e-commerce store created on WordPress. WooCommerce is not only easy to use but also easy to manage and hundreds of extensions are there to use. Rather than going more on it, let’s check how to use WooCommerce Plugin in WordPress. Installation is the initial step in using the WooCommerce plugin. Just search for this plugin in WordPress and click install. As you begin with the installation you will find an option to activate. Click activate to walk through the setup process. As soon as you click to activate, you will see some setup steps necessary to complete the installation and the first step is Page Setup. In this step, you will be seeing few essential pages such as Shop, Cart, Checkout and My Account. In this step, all you have to do is just click continue as it will be set perfectly. The next step is setting local store. This is nothing but setting up the country or state your store belongs to, the currency and specifying the number of units such as weight and dimension of your product. Once this is all set, you will be moving to shipping & tax setup in which you have options to select whether you ship physical goods to the consumers and how much amount is charged for sales tax. Then comes the payment setup in which you have to choose the third-party payment processor that you like to embed in your store. The options like bank transfer, cash on delivery and third-party payment processor setup will be available in this step. As already said, it is easy to use the plugin, so the setup or configuring will be a piece of cake. Once done with the payment setup, you are good to go now, yes, your store is ready. Now it is your time to add and manage products. With the given options, you can add new products giving a crisp and necessary description of the product. Here, you can add the complete details of the product and also will be able to setup the features such as shipping, non-shipping, shipping charges, availability of the product, product grouping etc. That’s it, these are the necessary steps involved in using a WooCommerce plugin in WordPress. To sum up, always remember, it is pretty easy to use WooCommerce and numerous benefits are there. Not only creating but also customizing, managing and generating reports is quite easier. Thus, WooCommerce is being one of the most famous and an easy to use plugin to convert any normal WordPress site into e-commerce site with easy steps. Get it now, set your own e-commerce store and experience the benefits.